Extensible 3D (X3D) Graphics is the royalty-free open standard for publishing, viewing and archiving interactive 3D models on the Web. Numerous resources are available to support both X3D Graphics and its compatible predecessor, the Virtual Reality Modeling Language (VRML). Extensible 3D (X3D) is the third-generation successor to the Virtual Reality Modeling Language (VRML), providing full backwards compatibility and adding functionally equivalent XML and compressed-binary file encodings. Player support for X3D components provides a feature comparison of major X3D viewers, for each player and each X3D component. The HelloWorld.x3d scene is a simple authoring example that illustrates the minimalist X3D Interchange profile. 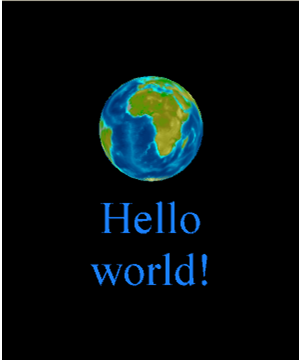 Also available: internationalized Hello World Scenes. Please install one of the following X3D players to view X3D/VRML scenes and browse these examples. InstantReality is a high-performance X3D player and Mixed Reality (MR) system by Fraunhofer IGD (Linux, macOS, Windows) (forum). FreeWRL/FreeX3D X3D/VRML browser (open-source C). (Linux, macOS, Windows) (contact, (bug tickets). Also described on Wikipedia. H3D/H3DViewer is an open-source C++ API and X3D player (Linux, macOS, Windows) (forum). Includes haptics support, Rigid Body Physics component, plus 3D texturing and the Volume Visualization component for the Medical Working Group. Xj3D is an open-source Java viewer and application codebase for X3D graphics scenes. Xj3D Evolution strategy describes how Web3D working-group stakeholders are implementing further improvements to Xj3D. NPS source branch for Xj3D viewer describes current details for the active Xj3D Sourceforge project. Xj3D.org original distribution includes a developer page. GeoVrml Run-Time was originally used for VRML97 GeoVrml examples. 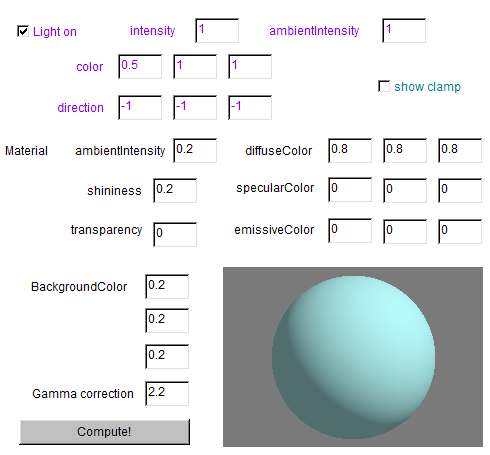 Dynamic-3D is a pure Java-based 3D Graphics Engine for web browsers. Open source renderer by Mitch Williams. BitManagement&apos;s BS Contact and BS Contact Geo X3D/VRML97 plugins for HTML web browsers (Linux, macOS, Windows) (support). Castle Game Engine is used to build view3dscene, a free cross-platform VRML/X3D browser that also supports other 3D model formats (FreeBSD, Linux, macOS, Windows) (forum). Cortona3D Viewer by Parallel Graphics, VRML plugin for Netscape or Internet Explorer (support). GPAC is an Open Source multimedia framework for presentation technologies (graphics, animation and interactivity) and packaging formats such as MP4. (Linux, macOS, Windows). Heilan X3D Browser open-source C++ browser for audio research (Linux, macOS, Windows). libx3d open-source C++ libraries for X3D. NuGraf by Okino provides a 3D rendering, translation, viewing & data optimization system (Windows + emulators and plugins for other authoring tools) (support). Octaga Player 5.0 (and Octaga-only plugin test page) by Octaga VS is a high-performance X3D/VRML browser (Windows) (support). Downloads of prior Octaga Player 2.1 also available at c|net. OpenVRML is a free cross-platform runtime for VRML and X3D (FreeBSD, Linux, macOS) (support). Orbisnap is a free multi-platform standalone VRML97 viewer for visualizing virtual worlds, and can connect to a Simulink 3D Animation server (FreeBSD, macOS, Linux, Unix) (support). SwirlX3D Free Player by Pine Coast Software (Windows) (support). blaxxun Contact VRML97 plugin for Netscape or Internet Explorer, and Matlab plugin (not supported). Karmanaut mirror site: CosmoPlayer 2.1.1 VRML97 plugin for Netscape or Internet Explorer. CosmoPlayer VRML Plugin Installer distributed by NIST. Original link: CosmoPlayer 2.1.1 VRML97 plugin for Windows/Mac/Irix, running under Netscape or Internet Explorer. Archive link: CosmoPlayer 2.1.1 VRML97 plugin for Windows/Mac/Irix, running under Netscape or Internet Explorer. Flux Player and Flux Studio X3D/VRML97 viewer plugin and authoring tool for Internet Explorer (Windows) (not supported). Also includes download links to Nexternet Pivoron player. Flux open-source early release for VRML and X3D, removed by project committers (Windows, Internet Explorer and Firefox). Sourceforge changed their policy after this incident to eliminate such removals from occurring again. Thanks to another contributor, this original early-release codebase is again available. Vivaty (formerly Flux) Player X3D/VRML97 plugin for Internet Explorer (Windows) (not supported). Pivoron plugin for Netscape or Internet Explorer (release plans) from Nexternet which was acquired by MediaMachines in 2001. Not supported. Many authoring tools have emerged since X3D can be used for any purpose without royalty fees. Tool support for X3D components provides a feature comparison of major X3D authoring tools, for each player and each X3D component. X3D-Edit is the primary authoring tool used at NPS to create the X3D, Sourcebook and Savage example archives. Available free. Latest version. X3D-Edit is available for Windows, macOS, Linux, Solaris and Netbeans users (support). Original version. X3D-Edit 3.1 is still available but no longer supported. X3D-Edit Authoring Tool for Extensible 3D (X3D) Graphics provides a 7-page summary of X3D-Edit 3.1 features and usage. AC3D is a small, simple, easy-to-learn 3D authoring tool that includes support for X3D export (Linux, macOS, Windows) (contact). Blender is an open-source 3D authoring tool that includes support for X3D import/export (FreeBSD Linux, macOS, Windows) (download). Castle Game Engine (view3dscene) documentation provides excellent guidance on Exporting from Blender to X3D. Blender has many import/export capabilities. Blender Model Export To X3D using X3D-Edit describes an example design & export session. BS Content Studio Tool for easy and fast creation of 3D scenes and applications, from BitManagement (support) November 2014: new update announced. BS Editor is the original authoring tool from BitManagement. insight3d is an open-source, image-based modeling tool for creation of buildings from photographs. MeshLab is an open-source, portable, and extensible system for the processing and editing of unstructured 3D triangular meshes (Win64, MacOS, Linux Snap) (download). ParaView is a parallel visualization application to visualize large data sets. Rez provides an open-source framework and tools for translating planetary terrain data and images to different formats including multi-resolution versions optimized for web browsing. SwirlX3D Editor is an X3D/VRML authoring environment from Pinecoast Software (Windows) (support). Seamless3d is open-source 3D modeling software designed for artists (support). Additional reference: Wikipedia-Seamless3d. SubmarineX3D is a simple X3D Editor from University of Perugia Italy (Linux, macOS, Windows) (contact). Titania X3D Editor is a free standalone X3D/VRML authoring tool primary developed for Ubuntu/Debian operating system. VIM (Vi IMproved) Editor does syntax highlighting and folding (collapsing of blocks) for both XML and VRML97. Nothing specific for X3D yet. Viper is a VRML97 source-code parser by NIST. Visualization Toolkit (VTK) is an open-source toolkit, written in C++, for large scale 3D data visualization that offers X3D export. Related: Mayavi is a Python interactive scripting interface for VTK that includes X3D export of mesh-based surfaces. Enthought Blog entry describes corresponding Mayavi capabilities for X3D. X3D Pathway: Interactive HTML with Python and X3D describes two compelling examples and the production workflow used. White Dune is a graphical VRML97/X3D editor, simple NURBS/Superformula 3D modeller, animation tool, and VRML97/X3DV command-line compiler in development. (FreeBSD, macOS, Linux, Unix, Windows). Wings 3D is an advanced subdivision modeler that is both powerful and easy to use. It can be used as a free open-source X3D/VRML authoring environment (Linux, macOS, Windows) (forum). Open-Source 3D Component Editor using X3DOM by Fraunhofer IGD is an example X3D scene editor that runs in a web browser. XMLSpy by Altova is an XML development environment for modeling, editing, debugging and transforming XML technologies. The X3D-Edit distribution enables XMLSpy support for X3D editing and validation, using either X3D DTD or schema. X3DToolKit by INRIA Models and Algorithms for Visualization and Rendering (MAVERICK) is a portable LGPL free C++ toolkit for loading, displaying and processing X3D models, designed for 3D developers. X3D Java Scene Access Interface Library (X3DJSAIL) provides standard X3D Java interfaces with concrete implementation classes, all as open source. This application programming interface (API) library is strongly typed to avoid authoring errors, and is autogenerated from the X3D XML schema and X3D Object Model to ensure correctness. Octaga Exporter directly exported visual effects created using Autodesk 3DS Max into VRML and X3D. Vizx3D (Internet Archive) 3D modeling and animating application that creates X3D v3.0 and VRML97 files. Features include H-Anim 2001 single-mesh avatar support, an improved IndexedFaceSet/NURBS surface editor, subdivided surfaces, and multi-texture functions. Vivaty Studio (formerly Flux Studio) is a high-quality authoring tool from Vivaty. It is an easy-to-use, inexpensive, general-purpose, visually oriented, 3D modeling and animation application for X3D (not supported). This group also produced Flux Player and Flux Studio X3D/VRML97 viewer plugin and authoring tool for Internet Explorer (Windows) (not supported). Numerous other resources provide support for authoring X3D.  X3D Scene Authoring Hints provides author guidance for producing X3D scenes. newHtmlPageWithX3dObject.html is an example HTML scene with X3D object tag to copy, edit and reuse. X3D v3.3 Abstract Specification (Architecture and Base Components) (node index, version content) authoritatively describes the functionality of all X3D nodes and elements. The X3D Current Standards and All X3D Recommended Specifications pages includes all approved documents, downloads, and related links. X3D XML encoding describes the .x3d file syntax. Humanoid animation (H-Anim) specification version 1.0 describes the full semantics of H-Anim models that are summarized in the X3D Abstract Specification. X3D-Edit also bundles X3D, VRML97 and H-Anim specifications in the Help system. You can search ISO.org for X3D if you prefer to buy a copy of any specification from the International Standards Organization (ISO). Incidentally, the VRML Consortium (our direct predecessor) was the first standards-development organization (SDO) permitted by IS to independently publish Web standards without charge. 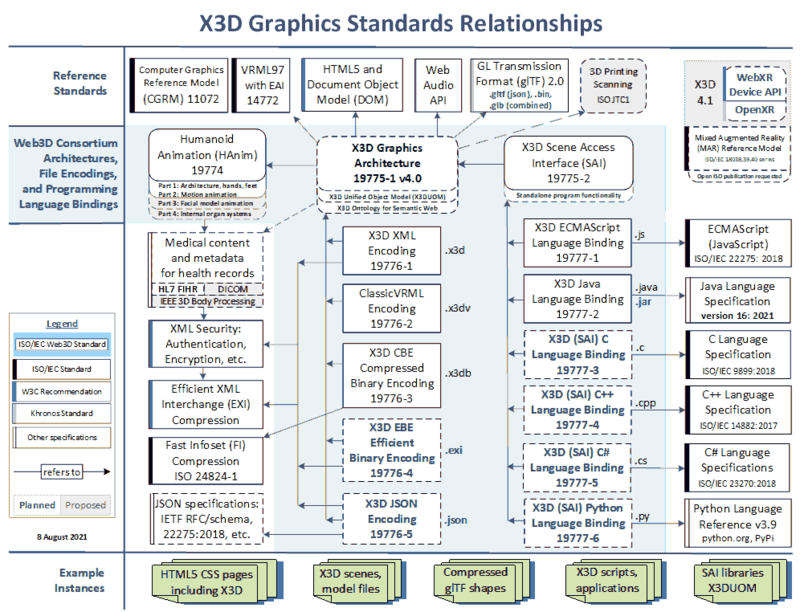 X3D Graphics Standards: Specification Relationships diagram (.pdf) and the X3DSpecifications Honeycomb Diagram show how this large family of X3D standards fit together. 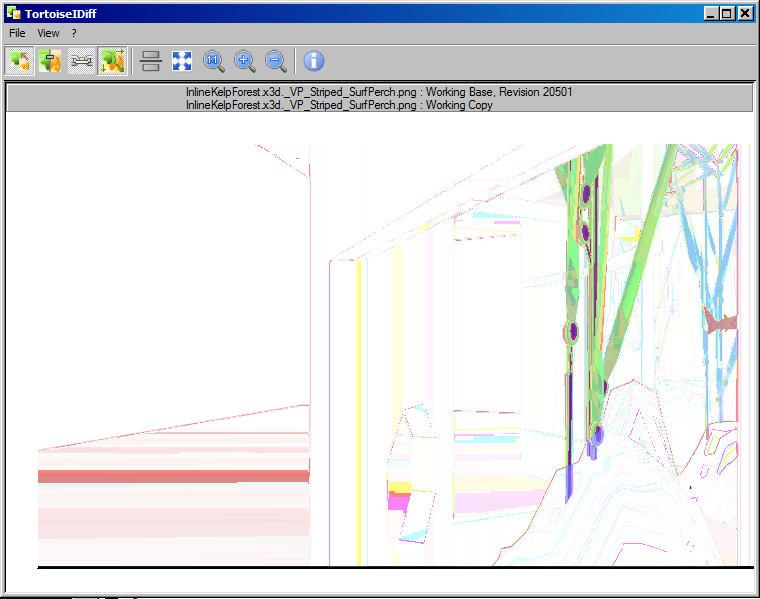 OasisXmlCatalogX3D.xml provides schema and doctype address resolution for typical offline validation of X3D scenes. Production notes: X3D DTD documentation is generated using Netbeans. X3D schema documentation is generated using XML Spy. Experimental. X3D Object Model v3.3 and X3D JSON Schema v3.3 (documentation). The Humanoid Animation (H-Anim) Specification has a corresponding specification for the X3D H-Anim component and a corresponding H-Anim Examples Archive. The H-Anim Executive Summary summarizes current capabilities and significant additional work being considered by the H-Anim Working Group. ISO/IEC 9973 Register of Graphical Items includes detailed definitions for hatchstyle values (used by FillProperties node) and linetype values (used by LineProperties node).  X3D Tooltips provide multi-lingual authoring tips, hints and warnings for each node and field in X3D. Additional authoring support includes the following assets. Tools often need to support offline validation of content that includes authoritative online urls for the XML DOCTYPE and Schema. An OASIS specification defines how to map authoritative urls to local copies. OasisXmlCatalogX3D.xml is one example how an application can accomplish that. The X3D Working Group is also showing how to best provide X3D + HTML5 support for the draft HTML5 Recommendation. X3D Graphics is the international standard for real-time 3D communication. X3D for Web Authors by Don Brutzman and Len Daly, Morgan Kaufmann Publishers, Elsevier, April 2007, 468 pages. Free book download in ACM Digital Library is available for ACM and SIGGRAPH members. X3dGraphics.com provides free X3D example scenes and chapter slidesets. Course video lessons for learning X3D (also YouTube course video archive). Online course for enrolled NPS and distance-learning students. Visualizing Information Using SVG and X3D by Vladimir Geroimenko and Chaomei Chen, editors, Springer, 2008. Computer Graphics: From a Small Formula to Cyberworlds by Alexei Sourin, 3nd edition, Pearson Prentice Hall, Singapore, 385 pages, 2012. Chapter 14 discusses X3D and VRML. Networked Graphics: Building Networked Games and Virtual Environments by Anthony Steed and Manuel Fradinho Oliveira, Elsevier, 536 pages, 2009. Chapter 7 discusses X3D, X3D-Edit and DIS. Interactive 3D Multimedia Content: Models for Creation, Management, Search and Presentation, edited by Wojciech Cellary and Krzysztof Walczak, Springer London, 302 pages, 2012. Contributed chapters discuss X3D capabilities together with other standards, then describe significant implemented research work regarding 3D/VR/AR systems. Most works provide extensions based on the VRML/X3D standards. Online resource: Chapter 2, Interactive 3D Content Standards. Core Web3D by Aaron E. Walsh and Mikaël Bourges-Sévenier, Prentice Hall PTR, Upper Saddle River, New Jersey USA, 1088 pages, 2000. Several chapters discuss developmental versions of X3D. VRML & X3D for virtual reality by KyungBae Park, KyungIn Kang and SeungWook Kwak, 21 Century, ISBN-10: 8984681903, 422 pages, 2006 (in Korean). X3D, Who are you? Focus on examples for Web 3D design by KyungBae Park and SeungWook Kwak, Global, ISBN-13: 9788955024135, 472 pages, 2007 (in Korean). WebGl HOTSHOT by Mitch Williams, ISBN-13: 9781783280919, 306 pages, 2014. Chapter 1 shows how X3D complements WebGL. VRML design began in 1994 and the language became a stable International Standard in 1997. Of interest: X3D is a third-generation design that is fully backwards-compatible with the second-generation VRML 97 standard. Thus all design guidelines and technical details in the following textbooks remains relevant. Annotated VRML 2.0 Reference Manual by Rikk Carey and Gavin Bell, Addison Wesley, Boston Massachusetts, 1997. Late Night VRML 2.0 with Java by Bernie Roehl, Justin Couch, Cindy Reed-Ballreich, Tim Rohaly and Geoff Brown, Ziff-Davis Press (Macmillan Publishers), 1997. VRML 2.0 Handbook by Jed Hartman and Josie Wernecke, Addison Wesley, Boston Massachusetts, 1996. Also see the Tenochtitlan examples. VRML: Exploring Virtual Worlds on the Internet, by Walter Goralski, Matthew Poli, and Peter Vogel, Prentice Hall PTR, January 1997. Das Einsteigerseminar VRML by Prof. Dr. Rolf Daessler, April 2001, BHV Publishing Group, 498 pages, in German. Available online. 3D User Interfaces with Java 3D by Jon Barrilleaux, Manning Publications, 2000. A guide to computer-human interaction in 3D with direct mappings to VRML. There are three conformance test suites to help improve the quality of X3D and VRML players. VRML Test Suite (VTS) offers numerous open-source scenes along with with images and movie clips demonstrating correct rendering responses. Coverage includes the entire VRML97 Specification. ConformanceNist Test Suite X3D Examples upgrades the VRML Test Suite examples into X3D scenes, again offering numerous open-source scenes along with with images and movie clips demonstrating correct rendering responses. Coverage includes the X3D Immersive Profile. (Web3D members only) The X3D Conformance Testing Suite Access page explains the Web3D Conformance Suite. This interactive archive offers coverage of the X3D Interchange Profile. The Web3D Consortium offers compliance certification of this last suite. X3D Conformance Testing Program describes details. The Web3D Consortium also supports the Conformance working group mailing list which includes list archives. Of related interest: Quality Assurance (QA). Numerous conversion tools are available for the various encodings of X3D and VRML. X3D is a direct superset of VRML with three encodings: XML encoding (.x3d), Classic VRML encoding (.x3dv) and VRML97 encoding (.wrl). X3D is designed so that all three encodings are equivalent, you can choose to use any of them. Converting X3D scenes to/from VRML (.wrl) also works well, since X3D is 3rd-generation VRML. The functionality provided by the VRML97 specification matches the X3D Immersive Profile. The following applications are known to have X3D or VRML output capabilities. Additional entries are welcome. Related: also see Export and Import by Applications on this page. X3D players providing file-menu conversions (Save As) include BSContact, OctagaVS(pro), view3Dscene, and Xj3D. Xj3D Open Source for X3D/VRML97 includes command-line and file-menu X3D translators between all three encodings. Xj3D can also import Collada files. X3D-Edit exposes all of these Xj3D conversion capabilities via a conversion panel embedded under the X3D...Import and ...Export menus. X3D-Edit can further import, export and also edit, validate Collada files.  XSLT Stylesheets convert .x3d scenes into alternate formats and encodings. These slidesets (and corresponding batch files) are bundled in X3D-Edit. Backwards compatibility with VRML 97 (.wrl encoding): X3dToVrml97.xslt and X3dToVrml97.bat. Warnings are embedded in the output .wrl and provided on the console when such conversions have any difficulty due to an X3D feature not being supported in VRML97. In general, any X3D scene that fits within the Immersive Profile will convert successfully to VRML97. X3D to JSON Stylesheet converts .x3d XML to .json, supporting the forthcoming JSON Encoding for X3D Graphics. 3D PDF Converter includes support for X3D export. This capability allows users to easily visualize, validate and then export CAD data in a suitable format for import into a 3rd Party System. Accutrans 3D by MicroMouse Productions provides accurate translation of 3D geometry between the file formats used by many popular modeling programs. Anark is able to export product data into high-precision B-rep and lightweight mesh formats including SolidWorks, Inventor, ACIS, CATIA V4/V5, Parasolid, STEP, NX (formerly Unigraphics), IGES, COLLADA, DWF, X3D, and VRML. Ayam is a free open-source 3D modeling environment for the RenderMan interface with X3D import and X3D export. BaconXJF open-source 3D Web Formats Import-Export Tool for Maya and Maya LT includes X3D support. "It&apos;s a work in progress, but a good start..." Created by Aaron Bergstron, original author of the RawKee X3D Exporter for Maya. Demonstration videos also available. BitManagement capabilities include BS Converter for 3ds max and BS Converter for Blender. Blender provides excellent top-level import/export support, as described by Blender Model Export To X3D using X3D-Edit. CAD Exchanger is commercial C++ software to view and convert 3D models that supports multiple formats including VRML and X3D. Castle Game Engine has Blender export plus Castle Animation Frames, Skyboxes, Static Cube Environment Maps and more. Chisel VRML Optimisation Tool with autoinstaller and documentation provided by Halden Virtual Reality Centre. Originally built by Trapezium and maintained by NIST. Cura3D printing software supports X3D model import. Cura3D can output to multiple 3D printers and also export G-code. InstantReality X3D encoding converter is an online translator between ClassicVrml or XML (.wrl) encoding, and can also convert into X3DOM outputs (HTML5 or XHTML5). Free for non-commercial use. InstantReality installations include aopt, a local command-line converter. InstantReality also offers a separate InstantExport plugin for 3D Studio Max. MeshLab is an open source, portable, and extensible system for the processing and editing of unstructured 3D triangular meshes (Win64, MacOS, Linux Snap) (download). Modo by Foundry is a sophisticated authoring tool that includes X3D export. NIST VRML to X3D Translator was originally written by Qiming Wang. An updated version of the source (and a .zip distribution) are maintained on SourceForge. The translator is also bundled in X3D-Edit under the X3D/Import/VRML97 menu. Okino Polytrans/NuGraf is the premier industry translation tool that can convert many many different file formats (including Collada) with X3D/VRML97 import export and also support for VRML 1.0. Their original 2002 press release describes the central value of the VRML/X3D scene graph as a detailed, extendable design used in the Okino converter architecture. Open Cascade is an open source (LGPL) geometry kernel written in C++ uses PythonOCC which also includes X3DOM support. The Web3D CAD public wiki includes a STEP to X3D Python script. PDF3D provides support to convert, edit, store and share 3D data in PDF. File-format support includes VRML97. Project Rawkee: Open-Source X3D Plugin for Maya by the Archaeology Technologies Laboratory (ATL) of North Dakota State University (NDSU). Step Prolog Restful Interface (SPRI) Converter allows browsing the content of STEP files, which can contain multiple geometric models. Further information is found on the Web3D CAD public wiki. SwirlX3D Translator is an enhanced version of the Viewer that permits Collada and 3DS files to be imported into VRML or X3D (Windows) (support). Tetra4D supports 3D PDF conversion of PRC and U3D models to/from X3D within Adobe Acrobat. view3dscene supports VRML/X3D, Collada, OpenInventor 1.0, 3d Studio Max 3DS, Quake 3 MD3, Wavefront OBJ and Videoscape GEO. Vivaty has utilities and converters for Google Earth KML/Sketchup, Autodesk 3DS Max, Autodesk Maya, and Unreal. Vivaty Studio also includes Collada import. VrmlMerge can convert VRML to X3D, merge VRML 97 files, and provides .wrl examples. Free for non-commercial use, requires Java. XIOT X3D Input/Output Toolkit library provides an open source generic C++ toolkit to import and export X3D in its different XML encodings: ASCII and binary. Original development includes a Fast Infoset (FI) based X3DB compressed binary encoding. The X3D Examples Archives demonstrate how X3D nodes and scenes work. Thousands of scenes are provided in all X3D encodings. You can browse them individually online or download fully complete, separately installable .zip archives. Links to additional X3D example scenes are also available below. Special testing distribution. A comprehensive collection of all JSON example scenes is available at X3dExampleArchivesJsonScenes.zip (MD5 checksum) plus current output from the X3D JSON build process at build.log.json.txt. README.txt summarizes archive contents and lists key links. Build scripts are written using Ant with build.xml files in each archive's root. Please install a player plugin in your Web browser to view X3D/VRML scenes and browse these examples. Alternatively you can view X3DOM versions by selecting the .xhtml links. These examples are maintained by the Web3D Consortium and are all protected under an open source license, provided free for any use. The Sourceforge X3D Project is the site where master versions of most X3D examples are maintained. Quality Assurance regression testing provides exhaustively thorough validation checks on all X3D example scenes. Each example scene is provided using all X3D file encodings. XML .x3d, ClassicVRML .x3dv, VRML97 .wrl and pretty-print HTML .html form. Compressed Binary Encoding .x3db and X3D Canonicalization (C14N) .xml formats were added in 2006. X3DOM .xhtml formats were added in 2013. The viewpoint snapshot slidesets (with images taken by Xj3D in offline-rendering mode) were added in 2014. Zipped example archives start with the directory structure www.web3d.org/x3d/content/examples in order to match the online addresses for most examples, and also to allow side-by-side installation of local archives for easier user access. A wide variety of basic examples are provided for the corresponding textbook that show how to design and build X3D scenes. Model source change notifications are reported via the x3d-commits mailing list. build.out.txt shows recent build results including X3D scene validation successes, errors and warnings. Bug reports are tracked online. X3D Examples for Web Authors Project continuous integration testing is performed by the Savage Jenkins server, with latest console error logs and nightly build products available online. X3D for Advanced Modeling is a work in progress for learning advanced Extensible 3D (X3D) Graphics modeling, simulation and visualization techniques. The Basic Examples archive provides numerous scenes illustrating a broad variety of X3D capabilities. X3D Examples Archive Basic Project continuous integration testing is performed by the Savage Jenkins server, with latest console error logs and nightly build products available online. The ConformanceNist Test Suite Examples were authored by National Institute of Standards and Technology (NIST) to provide complete test set for the Virtual Reality Modeling Language (VRML97). They were automatically converted into X3D and provide approximate coverage for the X3D Immersive Profile. X3D ConformanceNist Examples Project continuous integration testing is performed by the Savage Jenkins server, with latest console error logs and nightly build products available online. The VRML 2 Sourcebook is an outstanding textbook covering the Virtual Reality Modeling Language (VRML) 97. The original examples from that book were the first scenes converted into X3D. SIGGRAPH 98 course notes are also online. X3D VRML 2 Sourcebook Examples Project continuous integration testing is performed by the Savage Jenkins server, with latest console error logs and nightly build products available online. NPS Scenario Authoring and Visualization for Advanced Graphical Environments (SAVAGE) library is an open-source set of models used for defense simulation. A Savage paper describes our overall modeling approach. The Savage Modeling Analysis Language (SMAL) thesis, schema and examples describe the corresponding simulation-entity metadata approach. Source is viewable via Savage Subversion. Model source change notifications are reported via the savage-svn mailing list. X3D Savage Examples Project continuous integration testing is performed by the Savage Jenkins server, with latest console error logs and nightly build products available online. NPS SavageDefense library is an open-source set of models used for defense simulation. Access is restricted to NPS partners working on government-sponsored projects. build.out.txt shows recent build results including X3D scene validation successes, errors and warnings. Bug reports are tracked privately. X3D SavageDefense Examples Project continuous integration testing is performed by the SavageDefense Jenkins server, with latest console error logs and nightly build products available online.  Source version control is available for developers wanting to track or contribute to these X3D example archives. Use Netbeans, X3D-Edit or some other subversion client (such as TortoiseSVN or Collabnet) to check out the version-control source and project information. Decide whether to use anonymous access or else a personal sourceforge account. Further links and information available via the x3d sourceforge project. Additional X3D example scene collections designed to demonstrate VRML/X3D capabilities include the following. Castle VRML / X3D demo models which were produced for the Kambi/Castle game engine by Michalis Kamburelis. IrishSpace was a volunteer effort to create a VRML Space Exhibit for the Children of Ireland. The project resulted in a multimedia space adventure in which a group of future emigrants set out from Earth aboard the Jeanie Johnston to settle the Solar System. This content was designed and built by Paul S. Hoffman, Len Bullard, and many other individuals. Alexei Sourin's book Computer Graphics: From a Small Formula to Cyberworlds provides online examples including Virtual Campus of Nanyang Technical University (NTU) Singapore. Tenochtitlan is a large VRML site illustrating the 1519 history of Cortes and Moctezuma on the island city of Tenochtitlan, center of the Aztec Empire. This content was designed by Delle Maxwell as a companion piece to the VRML 2.0 Handbook. 3D CAD Browser .com has both commercial and kind-of free (tradable) models available. Output formats include .x3d and .wrl formats. Related: also see Conversions and Translation Tools on this page. Autodesk 3DS Max exports VRML. Chemistry Markup Language (CML) examples in the public X3D Basic Examples Archive show how to covert CML models into X3D using a simple stylesheet. Chimera by UCSF is a highly extensible program for interactive visualization and analysis of molecular structures and related data. Chimera exports X3D and VRML97. Clara.io can be used to create or import models, animate them and render online. Support is provided for multiple import/export data exchange formats. ESRI ArcScene with 3D Analyst extension can export an assembled GIS scene to VRML and optionally GeoVRML. Jmol is an open-source Java viewer for three-dimensional chemical structures, with features for chemicals, crystals, materials and biomolecules. Jmol can illustrate most molecular-model features via VRML97 and X3D (XML) export. Maple provides powerful math-oriented technical computing software for engineers, mathematicians, and scientists. Maple 13 exports X3D. Mathematica is a powerful computational tool for numerics of any precision, symbolics, or visualization. Mathematica can export X3D and VRML. Live Interior 3D Pro includes export to VRML and X3D. OpenJSCAD (github, discussion, tweet) provides a programming approach to develop models for 3D printing. OpenJSCAD is inspired by OpenSCAD, the Programmers Solid 3D CAD Modeller. Also getting tracked as part of X3D for Advanced Modeling: Tool Conversions. PMOD 3D Imaging Rendering Tool (P3D) enables interactive investigation of volumetric medical data and imagery as part of modeling tool suite. Rhino includes VRML export and apparently X3D export as well. VMD is a molecular visualization program for displaying, animating, and analyzing large biomolecular systems using 3D graphics and built-in scripting. VMD is designed for modeling, visualization, and analysis of biological systems such as proteins, nucleic acids, lipid bilayer assemblies, etc. and may be used to view more general molecules. Export features include support for X3D, VRML97 and VRML 1.0. VRMLout for AutoCAD and VRML Translator for Inventor can publish AutoCAD 3D models and Autodesk Inventor assemblies on the Web. Feedback is welcome on any X3D topic. Scene authors and interested users are always welcome to participate in the X3D Graphics community. Comments, questions and trouble reports help to improve X3D resources or clarify the X3D specifications. Web3D mailing lists are active and archived. These are a great place to ask a question or search for earlier answers. The x3d-public@web3d.org open mailing list (subscribe) (archive) is frequently used to discuss X3D authoring and scene improvement. The X3D Graphics Working Group mailing list (subscribe) (archive) is also available for Web3D Consortium members discussing new-technology contributions. The many Web3D Consortium working group mailing lists are used to discuss further details for specification development. Web3D Standards Comment Form is used for identifying specification issues, detailed bug reports, suggestions and changes. Reporting problems and recommending changes are important steps, they prevent grief for future authors and implementers. Sending in the report gets the issue into the bug-tracking system and also sent to the mailing list for discussion. If you first login as a Web3D Consortium member, a log of your posts is maintained for your convenience. All opinions are valued. Dialog, lessons learned, success stories and alternatives are always considered helpful as part of our technology explorations and mailing-list discussions. Our overarching goal is to compatibly improve X3D examples, tools, and specification prose for the X3D and H-Anim International Standards. Dedicated diligence supports long-term usage, interoperability, and archival stability of interactive 3D graphics models for the Web. Since 1994, all VRML and X3D progress has occurred through cooperative community efforts by industry, academia, agencies and interested professionals. Web3D Consortium members actively support X3D specification development. We follow an open and proven process, described in our Standards Submission Policy. Mantis issue tracking by working-group members keeps track of details, alternatives and resolution for each specification issue. (Secondary login required for Web3D members.) Administration details are available on the Mantis documentation. Web3D Consortium github (member-only access) is used to maintain editors-draft Web3D specifications in version control. All draft X3D specifications are first developed by X3D Working Group participants. All draft X3D specifications are discussed by the open community on the x3d-public mailing list. Following certification by Web3D Consortium members, member-country delegations in the International Organization for Standardization (ISO) ratify and approve final status as an International Standard (IS). Further motivation: interactive 3D graphics continues to steadily advance, and the Web is the next major frontier. We are working to make 3D a first-class media type on the Web that has broad usability similar to images, vector graphics, audio and video. Experienced 3D authors know that making a great 3D model takes a lot of work. rebuilding that same 3D model three years later, because the previous proprietary software is no longer usable. Ouch.  Get involved! You too can be part of this great progress. Join the ongoing mailing list discussions to learn more and contribute your ideas about 3D on the Web. The Projects Wish List lists many interesting developer opportunities with potentially broad impact. Among other things, Web3D Consortium membership provides a safe haven for companies to carefully look at possible contribution of proprietary technology, ultimately becoming royalty-free capabilities for unrestricted use on the Web. Anyone can help build the Web. Thanks for considering these important possibilities. Need something else? You can contact Web3D Consortium or else contact X3D Working Group cochairs for any direct or private inquiries. Questions, suggestions, additions and comments regarding this X3D Resources page are also welcome. Please see the Contact section below. The X3D Standards are royalty free and published openly online by the Web3D Consortium under a cooperative agreement with the International Standards Organization (ISO). It was among the first International Standards to be published online and without charge. Please contact Web3D to request permission to use that work. There is a mobile subset of the X3D vocabulary called the X3D Interactive Profile. Conversion tools are likely to emerge that can down-convert scenes using the X3D Immersive Profile or VRML97 for lightweight mobile and embedded applications. BitManagement's BS Contact Mobile X3D/VRML97 plugin for handheld devices running the Windows Mobile operating system. RayGun by Planet9 Studios is a GPS tracking, navigation and social networking application that works on PCs, cell phones, PNDs and embedded systems. X3DOM runs on all devices. There has been a lot of dialog about X3D Mixed and Augmented Reality (MAR) and whether a new X3D Mobile Profile is possible that harmonizes capabilities for lightweight scenes running with HTML5 on mobile devices, possibly including essential AR and GPS capabilities. How can such X3D capabilities best be aligned with HTML? Join the X3D Graphics public mailing list to join the discussion, learn more and contribute! The X3D Examples archives include thousands of open-source models contributed by Web3D Consortium members. Shapeways 3D Printing Service and Marketplace, which also offers guidance on exporting VRML files for Shapeways. TODO: we need a more up-to-date way to install X3D plugins for PowerPoint. X3D Quality Assurance (QA) identifies errors and warnings in order to make X3D scene content more portable and reliable. Improved Quality Assurance (QA) helps achieve intended results in X3D scenes and metadata. Regular expression (regex) checking (design discussion) for malformed floating-point numbers and excess leading zeros. X3D Tidy helps authors automatically correct fixable errors in X3D scenes. Support for .html/.xhtml pages containing X3DOM support for X3D models. Errors or warnings are provided as appropriate for experimental attributes and interspersed HTML elements. X3D Validator is written in Java using publicly available source code. X3D-Edit authoring tool also provides further tools and tests (individually or in combination) for checking X3D scenes. X3D Canonicalizer (C14N button) applies X3D Canonicalization (C14N) .xml to reformat scenes into X3D Canonical Form. Additional test: ExternProtoDeclare field verification checks that field signatures match the original ProtoDeclare definitions, providing author with the option to apply updates. Additional test: url list editor checks for resource availability (green=found, black=retrieving, red=unavailable, orange=filename case mismatch). JSONLint validation has been added for all .json versions of scenes in the X3D Examples Archives. X3D JSON Schema (documentation) detects type and syntax errors in the experimental X3D JSON Encoding. Currently authored manually by Roy Walmsley. Eventually this tool will be autogenerated for all X3D versions. Running individual X3D players and applications often can reveal errors in the browser console. For example, Xj3D is very strict about playing content with perceived errors. All of the several thousand scenes that are checked into the X3D Example Archives undergo the full set of validation checks each night as part of continuous-integration Jenkins builds. Example diff image reveals subtle changes following an Xj3D renderer update. Established capability: offscreen rendering of X3D example scene viewpoints unlock 10,000+ helpful unit tests. Work in progress: X3D Regular Expressions (regexes) are used to validate the correctness of string and numeric array values in an X3D scene. The X3D Scene Authoring Hints: Validation describes DOCTYPE (DTD) and XML Schema validation of X3D scenes in detail. The X3D Specifications are the authoritative reference for determining correctness of X3D scenes. Of related interest: Conformance Testing. X3D: Extensible 3D Graphics Standard by Leonard Daly and Don Brutzman, 6 pages. X3D MIME Media Types are approved two-part identifiers for X3D file formats on the Internet: x3d+xml, x3d-vrml and x3d+fastinfoset (approval, announcement). This page also describes proper configuration of http servers and media-type filters for X3D. Open security by design, as specified by W3C's XML Security Recommendations, provides the strongest approach for secure Web documents used internationally on the Web. The .x3d encoding is XML based, which means that the full power of Web Security can be applied to X3D Graphics models. X3D Security Examples README describes technical detail about how all this works together. Multiple forms of validation and Quality Assurance (QA) are available to prevent unwanted insertions of malicious content in X3D models. Strongly typed Metadata nodes can be inserted in any X3D model. Interchange conventions are expected to emerge with growing usage. Security mechanisms such as encryption and authentication can be applied to high levels of detail (LOD), allowing authors to protect intellectual property at high resolution for authorized users while still rendering simple unrestricted models for other users. XML Security compatibility provides two crucial technologies: the W3C XML Encryption and XML Signature (digital authentication) Recommendations. XML Security mechanisms can be applied to entire scenes in .x3d files (XML documents) or scene subgraphs within an .x3d file (XML fragments). XML Encryption Requirements include super-encryption, multiple signatures, and also optional declaration of alternative encryption algorithms in the unencrypted envelope header. XML Security software libraries are broadly available and usable by international partners in any context, including Web commerce. Data-centric security is independent of network-transport security. 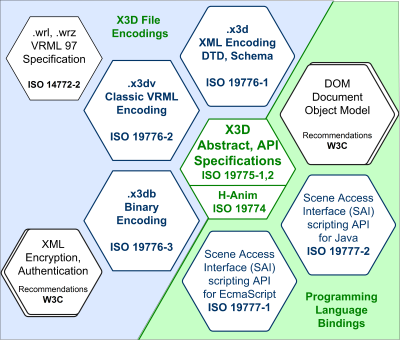 W3C Efficient XML Interchange (EXI) Working Group efforts for best practices are ensuring that EXI-based data compression of XML documents can be used compatibly with XML Security. Example prerequisite: EXI compression must precede encryption or else pseudo-randomization of bits precludes compression benefits. W3C Security Interest Group serves as a forum for discussion about improving standards and implementations to advance the security of the Web. Web3D Consortium members expect that required support for secure url addresses using https and ssl/tls protocols is likely to be included in X3D version 4.0. Full compatibility with XML Security capabilities is required for the next-generation X3D Efficient Binary Encoding under development. W3C Recommendation for Cross-Origin Resource Sharing (CORS) (also Wikipedia summary) precautions gain increasing importance as X3D pages are embedded in HTML5 pages. Most of these capabilities are demonstrated and formalized already. Several are already working-group efforts in progress. Therefore, this emerging combination of capabilities can be considered low risk, with high probability of full convergence eventually occurring. Security vulnerabilities unique to X3D are relatively few but deserve attention. A scene must not Inline or IMPORT itself, directly or indirectly, in order to avoid nonterminating recursion. X3D players SHALL NOT honor self-referential Inline or IMPORT loops in order to avoid security vulnerabilities." X3D specification review Overdue work: perform a full security review of all X3D specifications to come up with a consistent and comprehensive way to document all potential security vulnerabilities. Relevant reference: IETF Best Current Practice (BCP) 61, Strong Security Requirements for Internet Engineering Task Force Standard Protocols. Open Web Application Security Project (OWASP) resources include a list of common Vulnerabilities and the Top Ten Project. 10 Most Common Web Security Vulnerabilities by Gergely Kalman. DOCTYPE (DTD) extension mechanisms are a rarely used but available capability in X3D. Care must be taken to ensure that extension DTDs (if used) are correct and secure. DTD extensions can also be inserted directly as part of an X3D scene. The rapid expansion of DTD constructs can quickly consume memory, so it is considered a denial-of-service (DoS) attack aimed at parsers of XML documents. Variations (sometimes referred to as an XML bomb) are described in the following references. XML External Entity (XXE) Processing attack. Related overview: XML Schema, DTD, and Entity Attacks: A Compendium of Known Techniques by Timothy D. Morgan and Omar Al Ibrahim, VSR, 19 May 2014. NIST National Vulnerabilities Database (NVD) is the U.S. government repository of standards based vulnerability management data. NVD includes databases of security checklists, security related software flaws, misconfigurations, product names, and impact metrics. X3D-Edit authoring tool provides XML encryption and digital signature support. Advanced content developers can use native XML tools, such as Altova XML Spy. Apache web server documentation includes http security tips. Apache Santuario provides open-source software libraries in C++ and Java that are suitable for use within other applications. 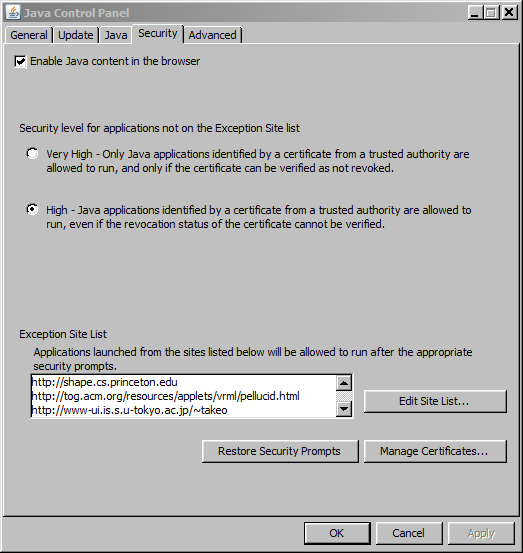 These are also used in the Eclipse XML Security Tools set of plugins. Proprietary encryption tools are occasionally available. User beware: security through obscurity is not strong security. TODO: better built-in support is needed by X3D players and tools. The Web3D Consortium X3D Working Group participates in the W3C Security Activity and EXI Working Group to continue aligning X3D with ongoing developments. Interested? Member participation is welcome. The X3D Showcase DVD is produced twice each year the Web3D Consortium for outreach to members and interested individuals. Sourceforge version control is used to maintain X3D Tooltip profiles for long-term development. README.txt describes how to contribute new tooltips in another language. Interested in contributing, by updating an existing set of tooltips or creating a new translation? X3D Tooltips inquiries are welcome. The Web3D Conference includes excellent papers, panels and tutorials each year. Offered annually since 1995, the conference is sponsored by ACM SIGGRAPH and the Web3D Consortium. The X3D for Web Authors textbook includes a comprehensive set of online examples, slidesets and videos. Coverage includes all of VRML and the X3D Immersive Profile. The X3D for Web Authors Course Adoption page lists an introductory tutorial and chapter classes as X3D instruction. The VRML 2 Sourcebook also includes a comprehensive set of online examples and slidesets. Coverage of the Virtual Reality Modeling Language (VRML) 97 approximately equals the X3D Immersive Profile. Understanding Scene Graphs by Aaron E. Walsh, Dr. Dobb's Journal, 1 July 2002 (covers VRML, X3D, MPEG-4, and Java3D). Numerous demonstration videos can be found online that show X3D models and applications in action. Web3D Consortium Videos showcases many member interesting examples using X3D, VRML and H-Anim. Web3D Conference YouTube Videos collects and archives videos from the annual Web3D Conference, now in its 21st year. The X3D for Web Authors book includes a full set of course video lessons for learning X3D. VRML design began in 1994 and the language became a stable International Standard in 1997. VRML97 is fully compatible with X3D and is the basis of the ClassicVRML .x3d encoding. Open Inventor is an object-oriented 3D toolkit offering a comprehensive solution to interactive graphics programming problems. Of interest: the original VRML design was directly based on a competitive community selection of the Open Inventor .iv format as being the current "best of breed" for Web markup of scene graphs. This architectural design similarity provides fundamental common ground between Open Inventor, VRML97 and X3D. Questions, suggestions, additions and comments about this X3D Resources page are welcome. Please send them to Don Brutzman (brutzman at nps.edu). Master version of the X3D Resources page is available online at http://www.web3d.org/x3d/content/examples/X3dResources.html and available in Sourceforge version control.